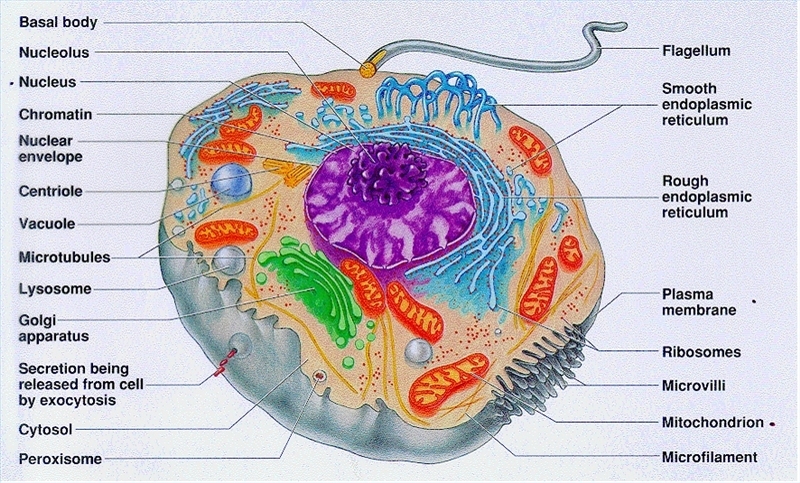 A cell has machinery within it that can build proteins to reinforce the cell wall strength. A cell can even replicate itself before its parts wear out. It is not a huge stretch to see how a cell uses agency and intentionality to extend its life span and pass on its genes to future generations. Bubbles, on the other hand, have no organelles or flagella with which to manage environmental variability. A bubble is a simple example of a “closed system”; even so, the bubble incorporates beneficial features of geometry to extend its stint as an entity. It would appear that bubbles are nothing but boundary! 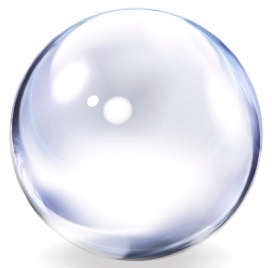 All of a bubble’s organization is in its surface, or ‘skin’. The bubble’s boundary separates the volume of air within it from the volume of air beyond it. These volumes of air determine, to some degree, the amount of pressure exerted on the boundary from either side. The larger the volume inside a bubble, the greater its internal pressure, which means the lower the differential of pressures against the boundary. 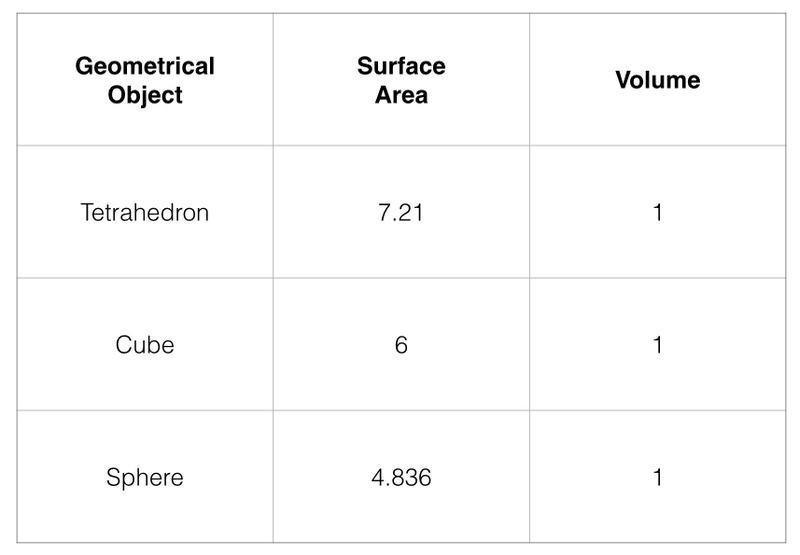 As the volume of a sphere increases, the low SA:V ratio helps minimize the proportional stretching-out of the surface area. If the surface area of a bubble becomes too thin, its elasticity or surface-tension will not be able to mediate effectively between its inner and outer spaces. This low ratio is important for another reason: having a larger girth means having more surface exposure, so having a low SA:V ratio means that a bubble, a cell, or any other spherically bounded entity can expand internally with the least necessary additional exposure/risk at the boundary. While inorganic entities are not thought to have conscious agency, they do endure a range of environmental variables, at least for a short while. A bubble is an elegant example of an intensional (rather than intentional) pattern, holding together its extensional matter by the pure providence of geometry. by equalizing pressure differentials at the bubble wall. 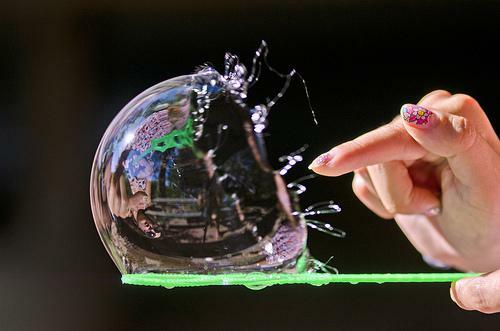 Because we assume the bubble has no agency over its pressure differentials, or over the quantity or quality of its substance, we expect its durability to be fleeting and random — and so it seems. But wait! Have you ever watched what happens to soap suds in your bathtub? Small bubbles combine to make larger bubbles. By uniting, they survive longer. The combined volume of the two bubbles increases the internal pressure, while the layer of film that separated the two bubbles gets moved to the outside, thickening the exterior boundary. Somehow bubbles have an innate tendency to survive in their environment by maximizing their volume within a range that can be accommodated by the tensile strength of the boundary material. Wow! Bubbles are way smarter than we thought! What does influencing a ferro-fluid (fluid containing iron particles) with a magnetic field have in common with blowing bubbles? Watch the short video and see if you can tell. Ferro-fluid is similar to the soapy fluid in bubbles, in that the iron particles align with each other just as the soap molecules adhere to each other. The property of cohesiveness enables both of these fluids to form thin pliable sheets. The magnetic flux structures the ferro-fluid into shapes, just as air pressure differences structure soap films into bubbles. With sufficient elasticity, the soapy water stretches around the air blown into it. Similarly, the viscous ferrous fluid stretches over the wave crests, which spike upward from a magnetically disturbed surface. Granules were sprinkled on a metal plate and then vibration caused the particles to arrange into intriguing patterns. A common dynamic links how granules distribute in different places on a vibrated metal plate and how a pool of ferrous fluid, under the influence of magnetism, climbs up off an otherwise smooth surface. The evacuation of particles from certain areas gives away the secret of unseen wave crests/troughs. In contrast to the viscous fluids that stretch around the wave peaks, the granular particles on the two plates (shown above) lack cohesiveness, so the particles fall from invisible mountains to accumulate in surrounding valleys, the nodes of stillness between standing waves. Three nodes are indicated in the standing wave below: the two at either end plus one at the center. More intricate patterns emerge as the pitch of sound grows higher. For example, the cymatics photo (above right) represents a higher pitched sound than does the photon on the left. 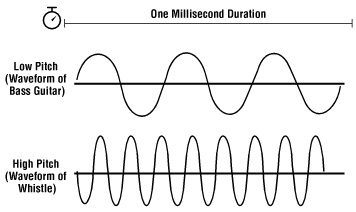 A higher pitched sound makes a higher frequency wave (more wavelengths in the same period of time). 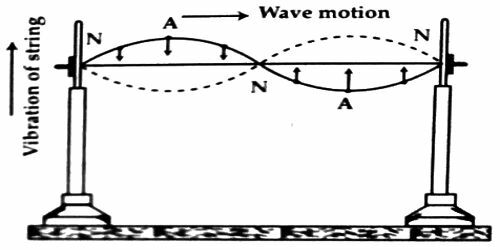 Higher frequency waves have steeper slopes and shorter wavelengths (a wavelength being the distance from peak to peak, or from trough to trough, of adjacent waves). So, the higher pitched sounds make steeper ‘mountains’ (referring once more to the ferrous conical mountains shown above). Steeper mountains have smaller base circumferences because more of them have to fit on the same surface area. This accounts for why higher pitched sounds make more intricate patterns. The ferro-fluid did not form a sculpture until the magnetic field was applied to it. 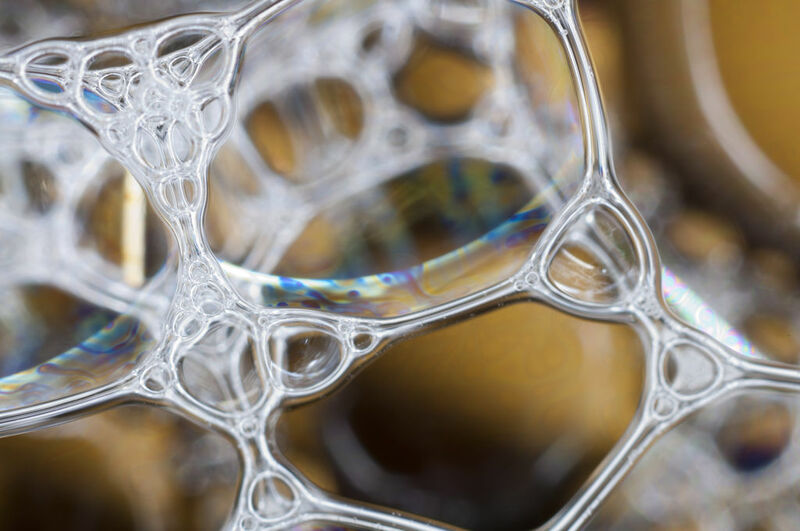 Soap film does not produce bubbles without being influenced to do so. Given some soapy liquid into which to dip a bubble hoop, a child will experiment with waving the bubble wand faster or slower, or blowing through the hoop with more or less gusto, until just the right balance is achieved. 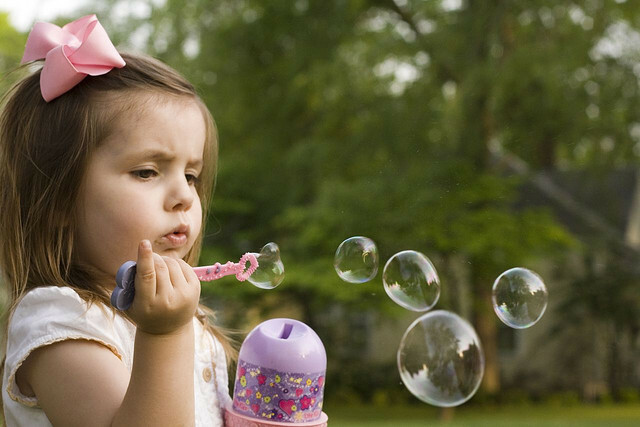 Children want to make big bubbles, but not so large that they immediately pop. Once the youngsters have the knack of striking the necessary balance between viscosity and air pressure, it is inevitable that some durable bubbles will be made. The implication here is subtle. In the specific range of conditions wherein a sufficient amount of substance with good viscosity is coupled with appropriate air pressurization, bubbles may form and persist; therefore, if bubbles are found, whether scrutinized by a specialized scientist or marveled at by an enchanted child, one may conclude that the conditions were met. Appropriate conditions are necessary* for bubbles; bubbles are sufficient* to indicate the required condition. *In logic, the terms necessary and sufficient are commonplace. Between opposing forces there may be found a point, a line, a surface, or a volume of neutrality and balance. These nodes, whether ‘valleys’, ground-states, or boundaries, are zones of minimal pressure. Low pressure zones are attractors. Everything falls toward an attractor. We fall in love with one who strongly attracts us. In Genesis, the first chapter in the Holy Bible, the depth of the Female‘s dark “waters” attract the “spirit of God” to move upon Her surface. The Female overcomes the Male by lying low. Whatever aggregates in these pockets of hospitality tends to remain there. The sand that settles in one place on the metal plates will not leave unless forced to do so by a change in the vibrational pitch. The particles in equilibrium on the still plate represent potential (unstructured) matter in a quiescent field. The video below will show how standing waves provide attractors to light-weight objects, allowing them to be suspended in midair. Particles are OUTformed as they are INformed, meaning the Creative vibration directs their spatial location/manifestation. Created/OUTformed particles INform as they OUTform, meaning the INformable environment is aware of every INformative presence that punctuates its ground state. We wrap up with a link to an interesting article about droplet physics. Droplets, like bubbles, manage the matrix of their surface tension and girth. The article explores the possibility that droplets are progenitors of cells.